Keep your divas cool and refreshed all night long. 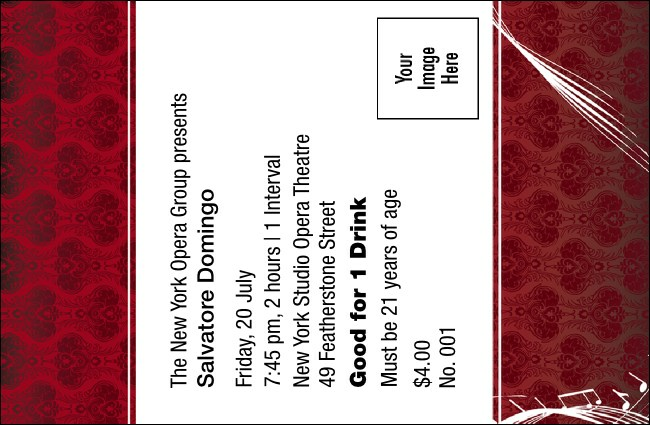 The Opera Drink Ticket helps fill that long intermission between acts with the tasty beverage of your choice. Sell drinks in advance, reward your best patrons, and make your bartender's life a little easier when you sell red and white drink tickets. Reform the box office with the right Event Kit from TicketPrinting.com.